Best Oculus Rift AMD CPU’s That Are VR Ready! 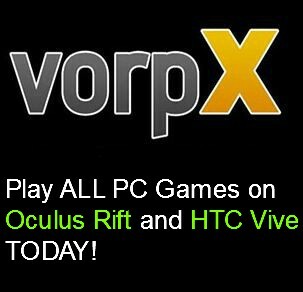 Want to stick to AMD CPU’s that are ready for the Oculus Rift CV1, and all of its games? 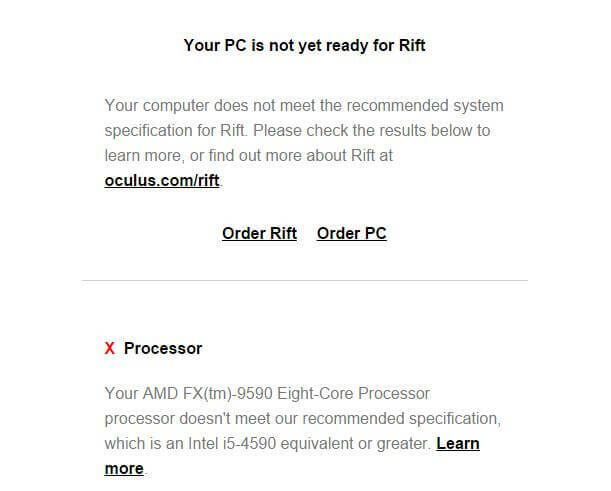 Well, good news, there are a limited amount of processors that AMD recently confirmed, which are completely fine with handling everything VR related. Why anyone should buy AMD CPU? So the war between Intel and AMD has been carried over to virtual reality world also. 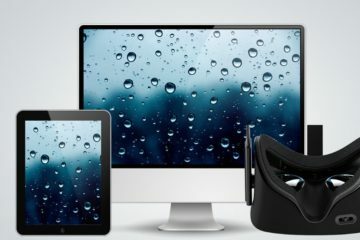 One might ask, are there any differences between those manufacturers, and if there are, are they affecting your experience in VR? For sure there are some benefits with Intel, and also some gains you can get from AMD. 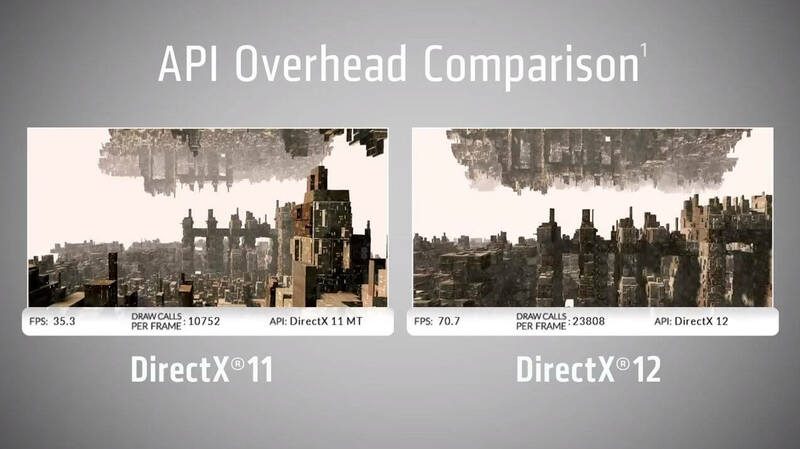 Although you probably have heard the phrase “GPU is what matter the most in VR”, with all the latest software releases like Direct X12, CPU might get more glory in gaming. Why? Explained in simple wording, Direct X12 allows to give your CPU cores a lot more work by utilizing all the cores you have. With previous one, DX11, only one core at a time was used to send “draw calls” between CPU and GPU, but with DX12, the more cores you have, the better the benchmark results may be. That means, AMD CPU’s finally may become more competitive in processor world due to having more cores, especially considering that they are known as the “budget option” in the gaming market. But, it doesn’t mean that AMD CPU’s are already better than Intel ones right now. Single core performance still plays a huge role, and AMD is considerably weaker in that area. The reason is, AMD CPU architecture is years behind Intel technology, and however cores you might have on AMD, it still underperforms next to Intel. DX12 “draw call” improvements help marginally, but we have to be aware that work load does not only consist of one factor. There are a lot of things that need to happen for AMD CPU’s to get the share of the pie in competitive scene. Still, it’s a huge plus, and if Oculus Rift games will be made with better core optimisation thanks to DX12, AMD will be more than fine in 2016, 2017 and beyond. What AMD CPU’s Are Safe to Buy For Oculus Rift? All of them you can already get on Amazon. However, which one of them is better? People usually compare prices for them, and think that the higher the price, the better it is. But this time, it’s not as easy. All of them are more or less similar, with only one exception. The last one, FX-6350 has “only” six cores, whereas others have 8 cores. Due to that, 6350 costs a lot less. In my honest opinion, it’s extremely cheap considering the fact that it works well with Oculus Rift. But out of all of them, I would put my money on FX-8350. It has the best value per price, and can play all the games at 60+ at 1080p with high or ultra settings. 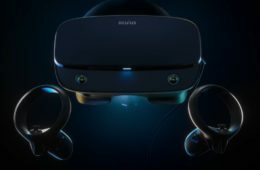 And since Oculus Rift depends on GPU more right now, FX-8350 will have no problems with Oculus Rift games, and will be ready in terms of raw power once DX12 Oculus Rift VR games come out. For example, here is what frame rate you get in GTA 5 with this CPU mixed with GTX 970 (another one of my recommended GPU’s for VR). FX-8350 is extremely overclockable, and its multitasking capabilities are impressive. 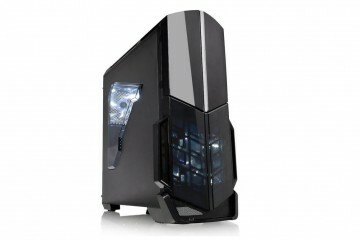 FX-9xxx series are just the same as 8xxx, but overclocked to higher numbers. It’s actually crazy how 9xxx ones started with price as high as $800. But still, 8350 is where my money would lie, and it seems like other reviewers agree with that. The reason is quite simple actually. 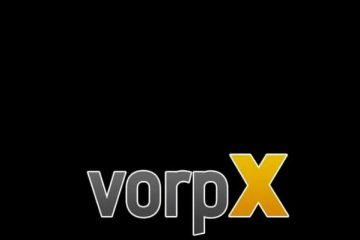 The VR program that scans your computer just doesn’t take AMD CPU’s into consideration. It has nothing to do with the overall performance that those processors have, they just simply search for Intel ones only. Because of that, AMD took matter in their own hands, and revealed to Forbes saying that a few of their FX processors are already capable of handling Oculus Rift. And I completely agree with them. Right now, in the DX11 era, we don’t really see much use in CPU’s, if we talk about games. 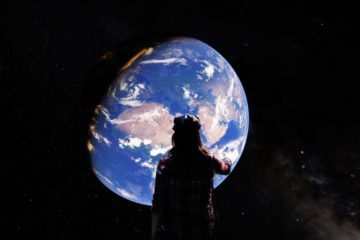 Especially in VR, GPU is what matters the most. That is why I am really excited to wait for the Pascal family graphics cards, which supposedly should come out in this summer 2016. GPU’s handle most of the game loads, and CPU doesn’t have to be “extremely good” to be ready for the storm, but it does have to manage the load that VR requires. So if you want to go with AMD CPU, feel free to go with ones mentioned above. Completely field tested, and ready to go. My personal recommendation would still be with Intel ones (here is a link to see what VR PC hardware should you buy). Even considering that AMD is budget oriented, I still went with Intel in my personal $800 budget VR PC build. Future might look a bit different and more balanced between those two CPU competitors because of DX12, but nothing is yet certain. What is certain, however, is that you should not keep your Athlon series CPU inside your homeboy (if by any way you actually still use that dinosaur), since you will definitely not appreciate the frame rate within those VR masks. I remember when I had Athlon X3 450 in my computer, I was super into the game called Planetside 2. This multiplayer game was taking most of my free time, and till this day, I am still not certain, how I managed to not throw my computer out the window when 60% of the time I had below 10 fps. My Athlon CPU did that, so that meant I could not take part in those huge 100+ player battles which were the best part of all game. Now imagine what it would be in the Oculus Rift. 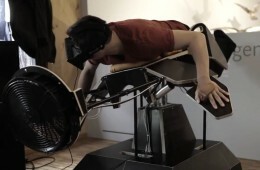 Right now, Oculus Rift requires 75+ fps, anything below and you might experience VR motion sickness. Not a fun thing to have when you are about to throw up. Like I said, GPU matters the most, but don’t underestimate the value of processors, especially with all the software changes that start to happen. 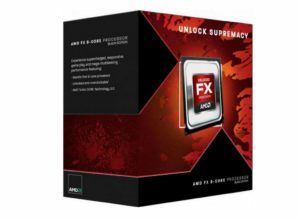 AMD mistakenly said that even APU CPU’s are ready for VR, but after close evaluation, they decided to go with the safe route and recommend FX ones only. That in itself shows that not every CPU can handle the load, and having a good one under the hood is seriously important. So, to conclude with this topic, AMD FX processors that are above, are ready for the future. If you don’t have a specific motherboard already, I would recommend going with Intel for now, but if you have a MB designed for AMD models, don’t be afraid to go with the FX ones (FX-8350 is my recommendation). Oculus Rift might even see some framerate improvements, once DX12 games come out, so you probably can witness the benefit of having more cores on your AMD CPU. Overall, really happy that AMD can finally have a chance to compete in the market, and in VR. Thank you for this article. I am relieved to know I can use the Rift with my current build. No problem at all, thank you for reading.